For some reason, maybe hubris, medical science seems doomed to repeat the sins of their fathers. 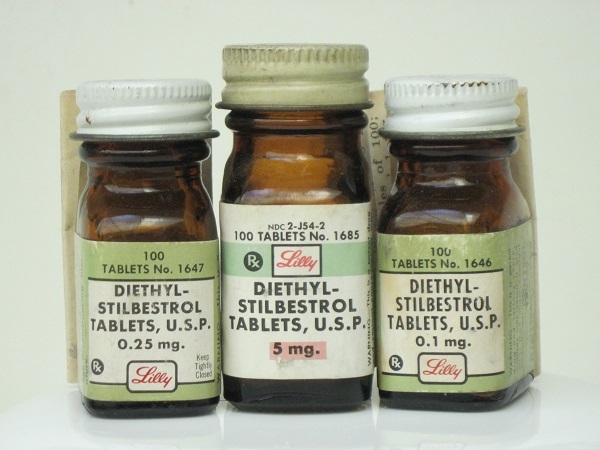 The lessons of thalidomide and diethylstilbestrol (DES) of generations past (present and future because of transgenerational effects) have not been learned. Reproductive endocrinologist, obstetricians and others tasked with protecting maternal and fetal health are at it again; happily and blindly dosing pregnant women with synthetic steroids with neither the evidence to support their efficacy nor the research to prove safety. 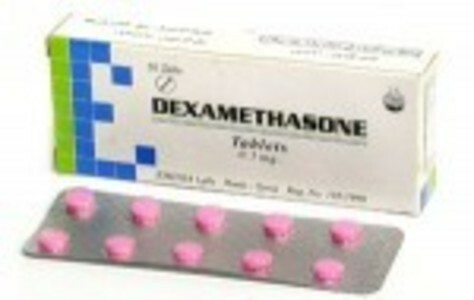 Dexamethasone is listed as a pregnancy Category C drug. Corticosteroids have been shown to be teratogenic (causes birth defects) in many species when given in doses equivalent to the human dose. Animal studies in which corticosteroids have been given to pregnant mice, rats, and rabbits have yielded an increased incidence of cleft palate in the offspring. There are no adequate and well-controlled studies in pregnant women. Despite the risk, dexamethasone has been given to pregnant women who are at risk of delivering a child with the congenital adrenal hyperplasia (CAH) for almost 30 years. CAH is a genetic disorder that involves the inability to appropriately metabolize certain hormones. Female children with CAH are often more masculinized than their non-CAH counterparts, both in behavior and physiology. Sometimes the virilization extends to the genitalia with atypical clitorises and labia. High dose dexamethasone is given prenatally, as soon as the woman becomes pregnant, to ‘feminize’ the female genitalia of CAH babies. Prenatal DEX serves no other purpose but to change the appearance of the female genitalia. It neither prevents CAH nor does it promote the health of the developing fetus relative to CAH. It merely de-masculinizes female fetuses, feminizes her genitalia. Conversely, it also feminizes male genitalia. The effective dose of DEX given from early pregnancy onward and elicits 60-100 times the normal physiological levels of cortisol. Because female sexual development happens very early in gestation, DEX is given to all women who might be carrying a female CAH child. With a previous history of delivering a CAH child, there is a 1 in 8 chance that a woman will have a second CAH child, who is female. So 7 of the 8 non-CAH babies are also exposed. Previously, we reported animal research showing that DEX combined with common environmental endocrine exposures in early pregnancy is linked to significant reproductive abnormalities in male offspring. Moreover, the adrenal system is a critical component of our stress-response and regulates a variety of physiological functions from heart rate and blood pressure to insulin response and fat storage. Research on animals shows prenatal dexamethasone has significant adverse effects on each of these systems, many of which are likley to be transgenerational – affecting the offspring and the offspring’s ‘children’ in ways that have yet to be investigated. As if dosing pregnant women with dexamethasone to somehow prevent the potential masculinization of female CAH babies without evidence or safety data isn’t bad enough, physicians who specialize in in vitro fertilization (IVF) are now also using DEX, again without sufficient evidence. One small and recent study suggests that DEX may augment ovarian response and increase follicle production for egg retrieval. There was no statistically significant improvement in fertilization, implantation or pregnancy rates. Miscarriage was not an outcome variable. There are no data about the long term safety of DEX for IVF or even any efficacy studies to support the use of DEX to prevent miscarriage. And yet, DEX is used to prevent miscarriage with IVF. The physicians using dexamethasone have no idea if it works and appear to be operating on hunch versus hard evidence. 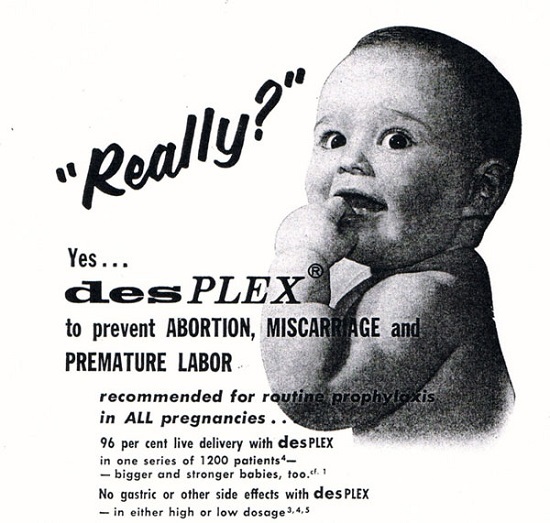 Of course, they contend, using DEX in early pregnancy (pre-implantation through 10 weeks) couldn’t hurt and therein lay the hubris – that their talents, education and years of medical practice suffice. For these experts, no confirmatory analysis or evidence is needed to verify that their treatment protocols work. Trust us, they say. Well, of course there are no ‘proven’ risks, no one has ever done the appropriate research either for the DEX in CAH or the use of DEX in IVF. After 30 years of being used off-label for CAH and potentially thousands, if not tens of thousands of babies exposed worldwide, there are no controlled studies showing either its efficacy or its safety – no robust analyses of adverse events. This may be worse than either DES or thalidomide. A recent meta-analysis on the risks of prenatal DEX use for CAH found only four studies with marginally useful data. Most done by the same research team with a highly questionable history. Except the one study cited above, there are no studies, none, not even in animals, on the use of DEX to prevent miscarriage. Its use with IVF remains highly speculative and experimental. As a result of this study, researchers in Sweden petitioned their Regional Ethics Committee to put on hold a prospective study using DEX for CAH, citing the high risk of adverse events for what is essentially an elective treatment for reproductive cosmetics. In the US, despite petitions to the Office of Human Research Protection (OPRH – the oversight body tasked with approving human subjects research and protecting research subjects) and the FDA, there has been little oversight of the use of DEX in either CAH or IVF. In both cases, these treatments are considered experimental and their use must be fully consented to and presumably monitored by OPRH and the FDA. Neither is happening with any rigor. Indeed, the fertility specialist’s claim – that there are no proven developmental risks to the baby [and] that side effects to the woman are infrequent, temporary in nature and reversible on proper withdrawal – mirrors the unsubstantiated and dubious claims of the one research group funded continuously by NIH for the last dozen years who have failed to produce any robust or rigorous data on the topic but nevertheless continue to market the benefits of DEX, their practice and ‘research’. 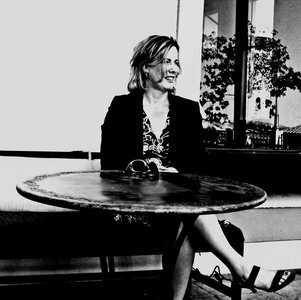 Most recently, a prominent physician and researcher from UCSF has come out to state that risks do not outweigh the benefits and that “prenatal treatment of congenital adrenal hyperplasia with dexamethasone should only be done in prospective clinical research settings with institutional review board approval, and therefore is not appropriate for routine community practice.” No such review or research exists for prenatal dexamethasone and IVF. Probably not. Administering synthetic steroids during critical periods of fetal development- when physiological systems are organizing and developing – will impact system and organ functioning. Some of those effects will be seen early on and may be visible, like malformed reproductive tracts, but others will be more subtle and present as the child ages – cognitive deficits, heart disease or cancer. Many effects will be epigenetic or transgenerational with the grandchildren suffering the consequences. 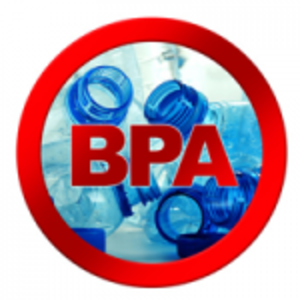 We saw that with DES, we’re seeing that in animal studies with BPA and other endocrine disruptors. One has to assume, we will see the same effects with DEX given from pre-conception or early pregnancy onward. It’s just a matter of time. Unfortunately, it may be years before the research catches up. Therefore, it is incumbent upon pregnant women educate themselves and make informed decisions. 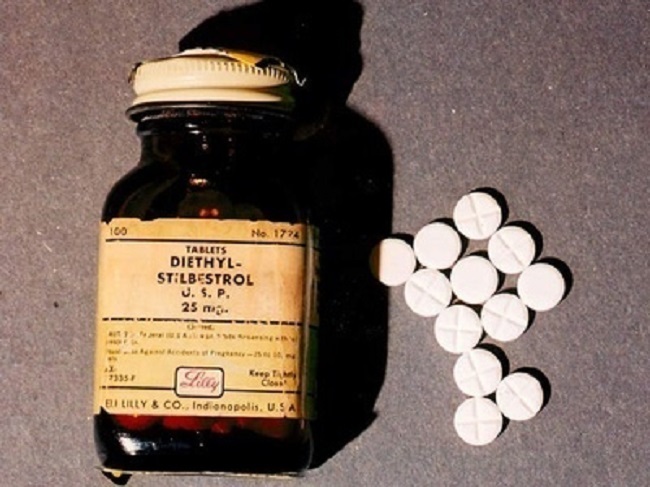 DES – The Drug to Prevent Miscarriage Ruins Lives of Millions DES was Given to My Mom as a Vitamin When Being a Tall Girl was a Medical Condition: DES and the Tall Girls From DES to the Pill: Are We Doomed to Repeat History? Comment my name is Mariam, i have been on dexamethasone for long, I started talking dex before I got married, dex make me eat and add weight , but now I have stopped it because am pregnant, but my problem now is just that i have really lost weight and i can’t eat and i look so sick, am four months pregnant should I stop it or continue. My wife is 30 weeks pregnant, our boy is small and she may be induced early, we have been prescribed dex, she is supposed to take 12 tablets within 24hrs and that is all. Is that safe? Should we ignore our consultant, an answe would be greatly appreciated, thanks in advance. Dave, I wish I could offer more direct advice, but I am just a researcher/writer. I suggest you dig into the research and base your decision on what you find and what you are comfortable with. This will be a difficult decision, whichever way you choose go. My mother took Decadron while pregnant with me, to minimize cerebral edema. I’d be interested in connecting with anyone with any questions about how I am now, 30 years later. Emma, certainly we would like to get involved. Would you like to write a post, link to your website and give our readers the information they need. As you may have seen we also do online surveys of drug side effects, we haven’t begun a maternal-fetal health series, but if you or colleagues would like to help, we would be happy to launch a study and include these drugs. That way, you have the data you need to make your case and you increase awareness at the same time. Let me know.